* * Note: It has bracelet to set (bracelet Sione). If you want to purchase the two pieces, we inform you beforehand to deactivate the shipping costs on ETSY, which will run to our account. 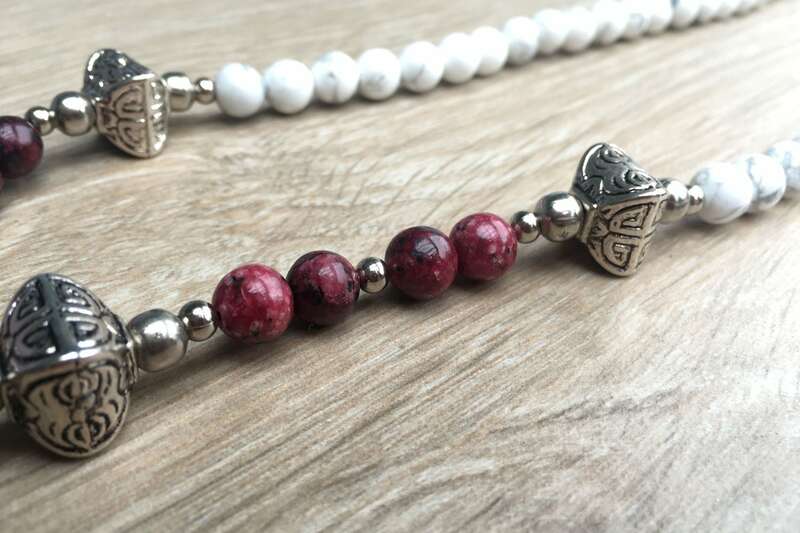 Garnet and white howlite sesame jasper beads with silver beads and garnet decorative tassel. 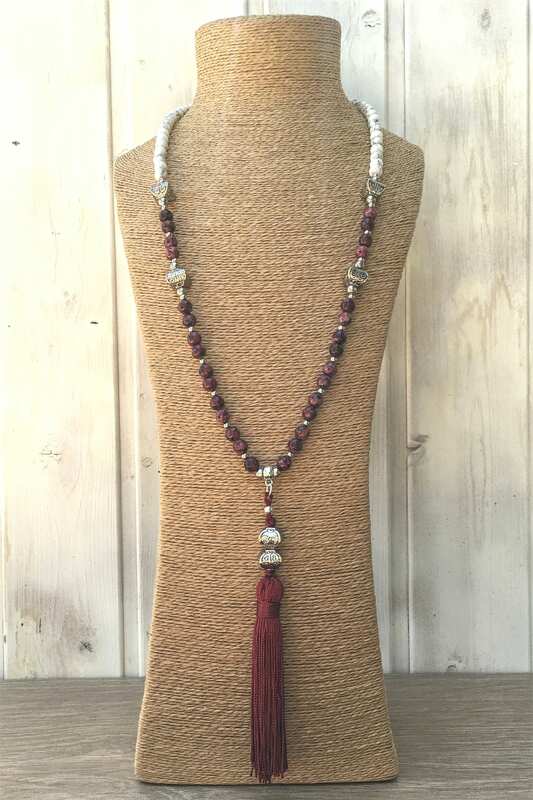 Total length of tasseled necklace: 55 cm.